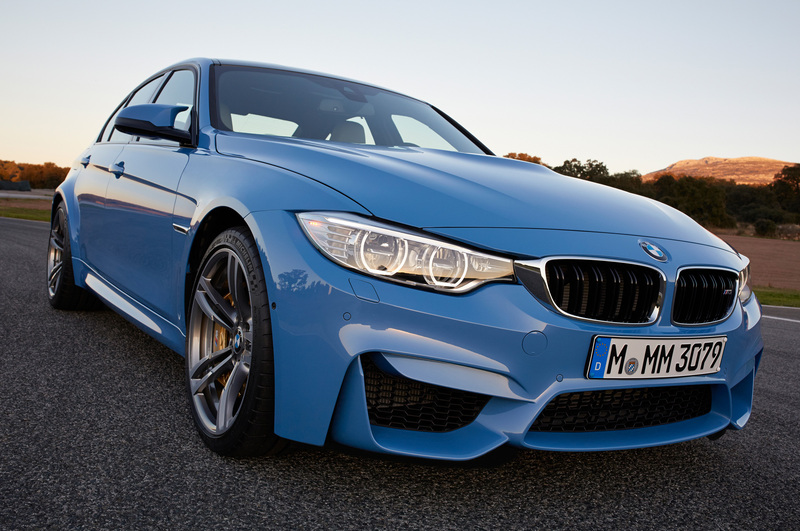 The BMW M3 is a legend in the world of performance cars, causing enthusiasts to gush when given the chance. 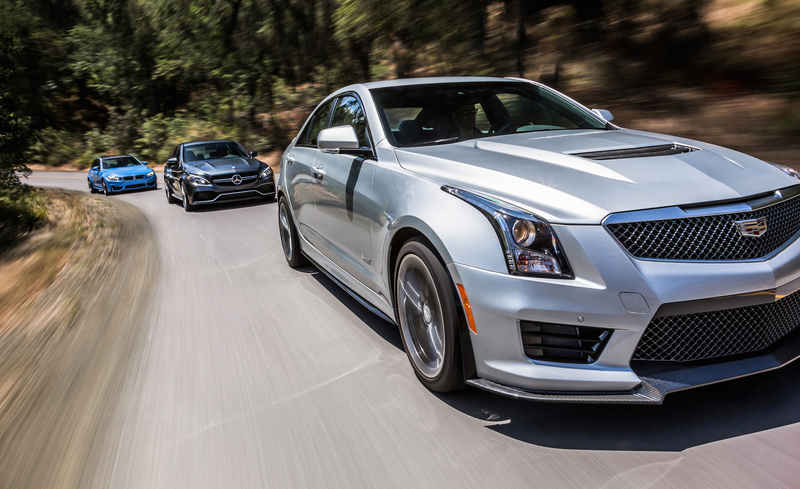 Under the hood is a twin-turbo 3.0-liter inline-six that makes 425 hp and 406 lb-ft of torque; it makes glorious sounds all the way to its 7500-rpm redline. 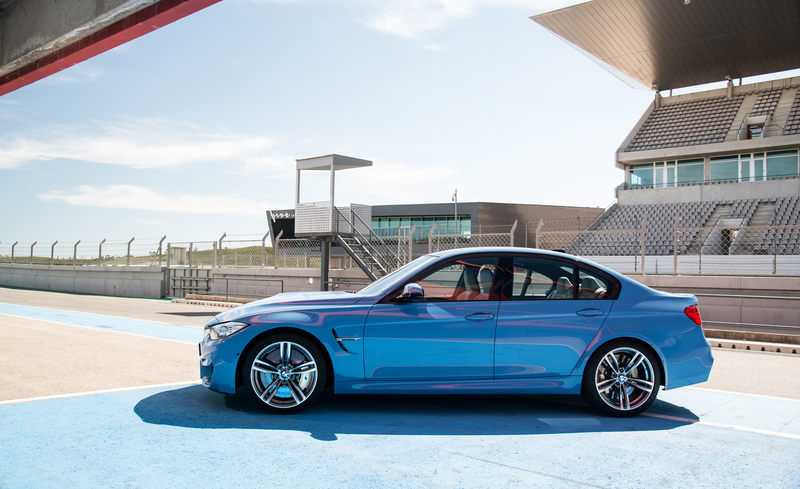 For more power, the Competition package offers 444 hp and 20-inch forged wheels. 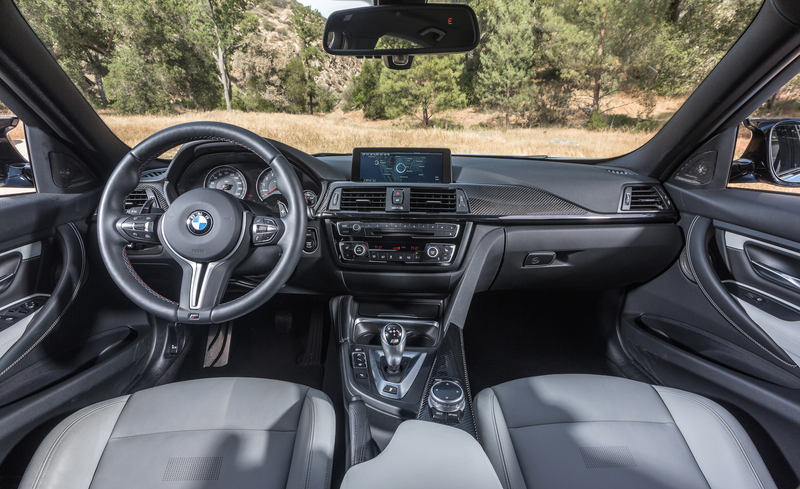 A six-speed manual is standard and a seven-speed dual-clutch automatic is optional. 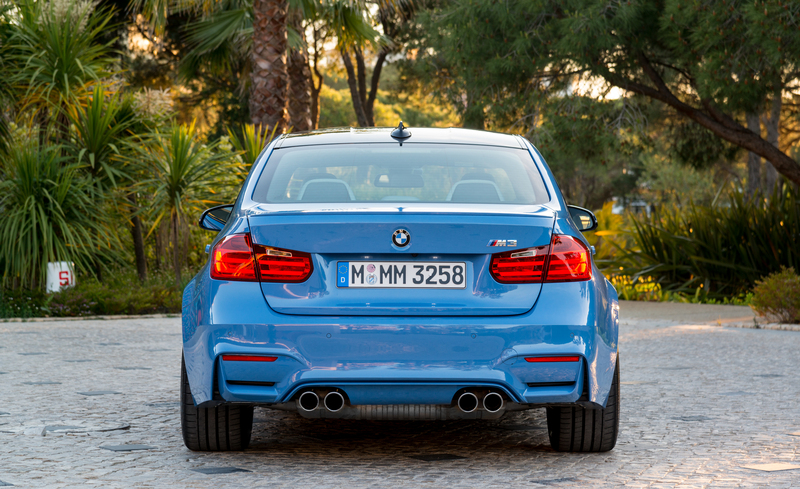 The M3 comes only as a sedan; coupe and convertibles wear the M4 badge. 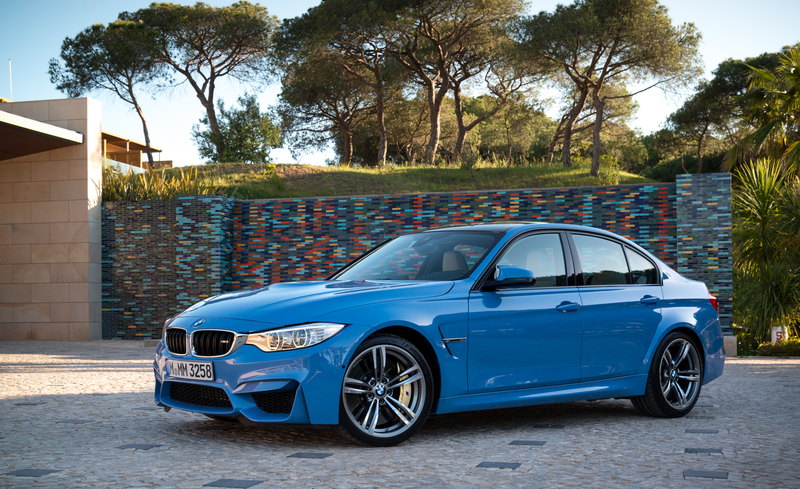 The 2015 BMW M3 is nothing less than a world-class high-performance sport sedan. 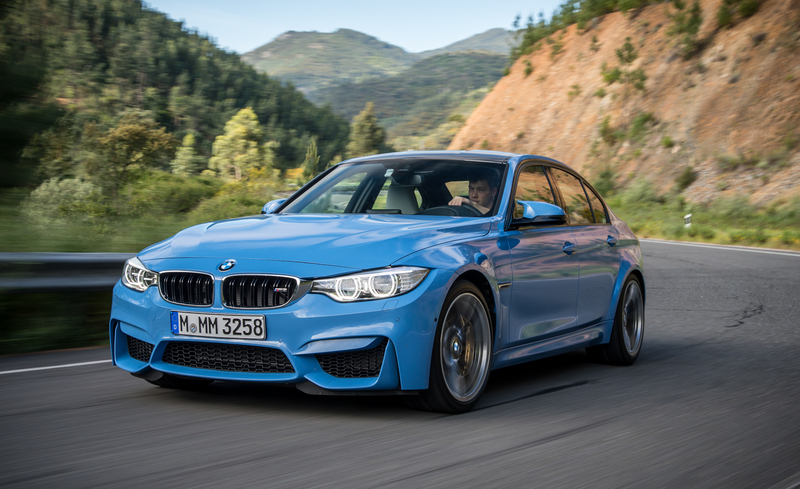 This review goes into detail about how the 2015 BMW M3 manages to impress our staff with its combination of stirring performance and daily-driver livability. 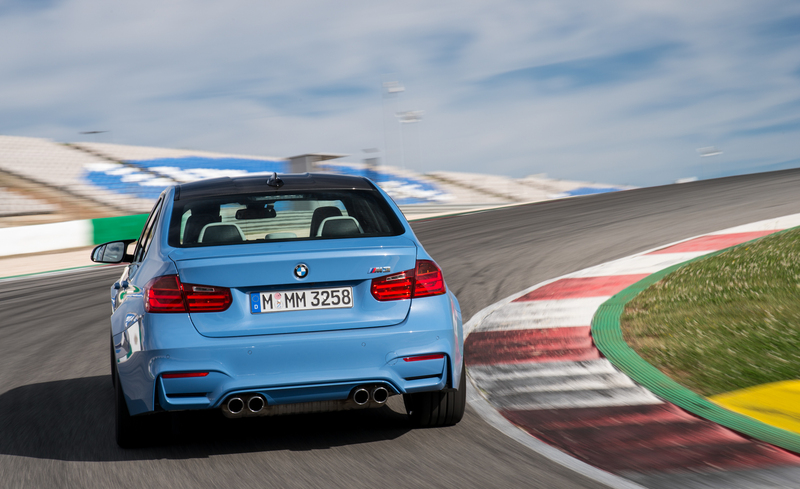 Few vehicles carry as much weight among enthusiasts as BMW's M3. 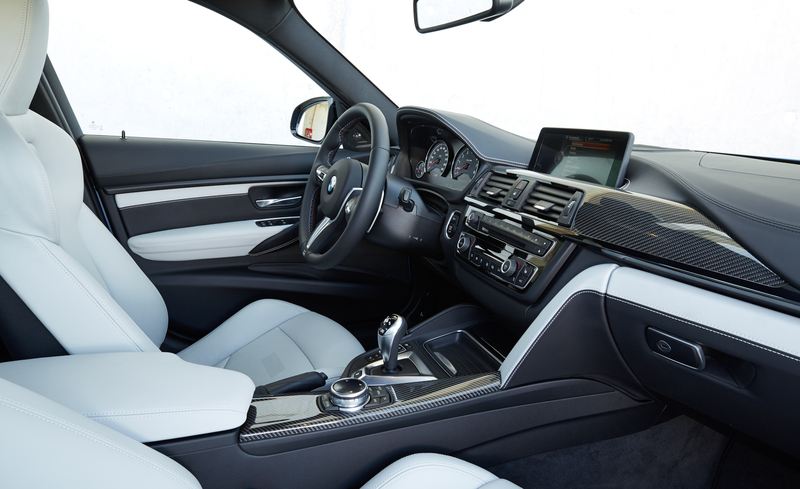 For decades now, the M3 has set the standard for seamlessly combining the acceleration and handling of a sports car with the room and comfort of an entry-level luxury sedan. 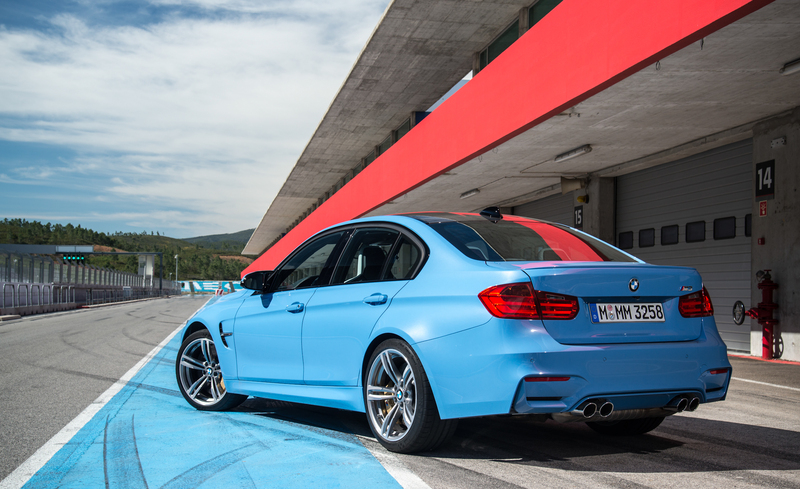 For 2015, the M3 has been fully redesigned, and an understandable amount of excitement and anticipation surrounds it. 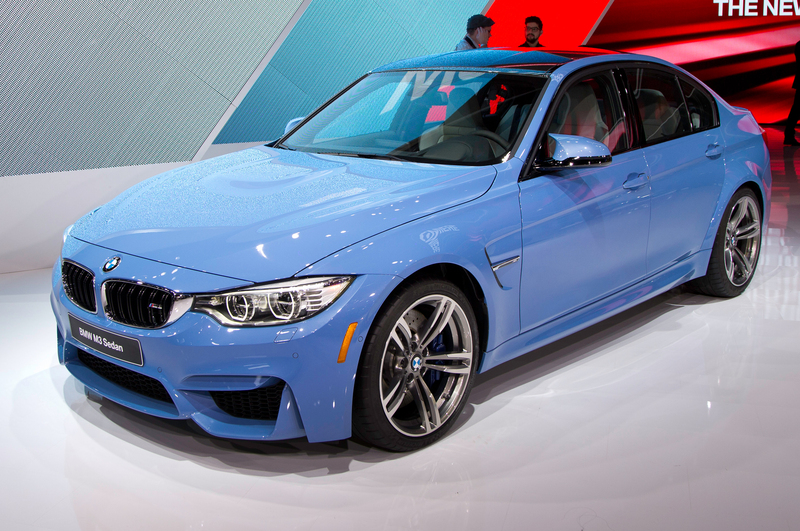 As expected, the new 2015 M3 is based on the latest-generation 3 Series that debuted back in 2012. 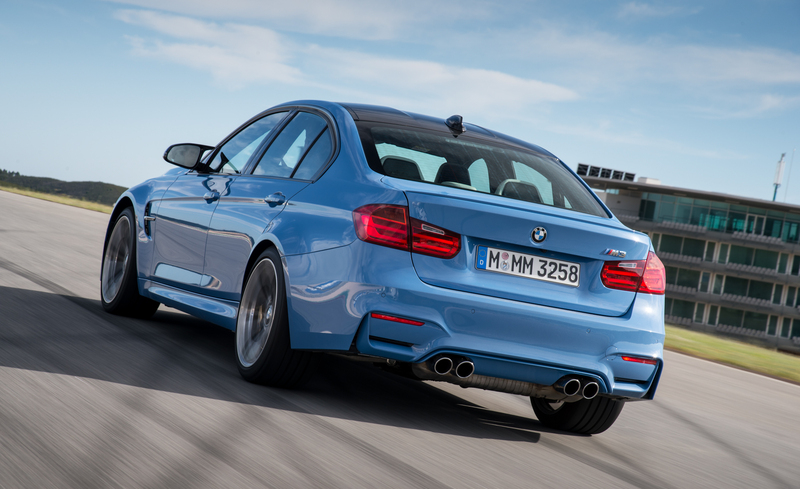 However, you may have noticed that this review refers to the M3 as a four-door sedan. 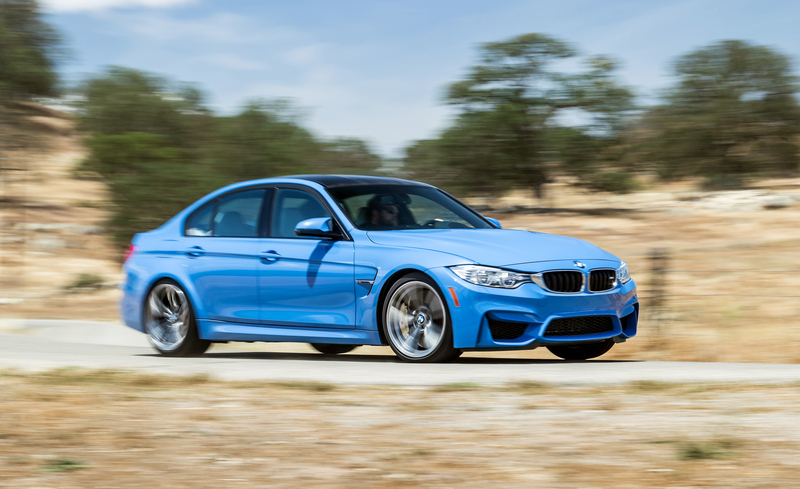 If you prefer your M3 in either two-door coupe or convertible flavors and are wondering what happened to them, fret not, as they are still available. 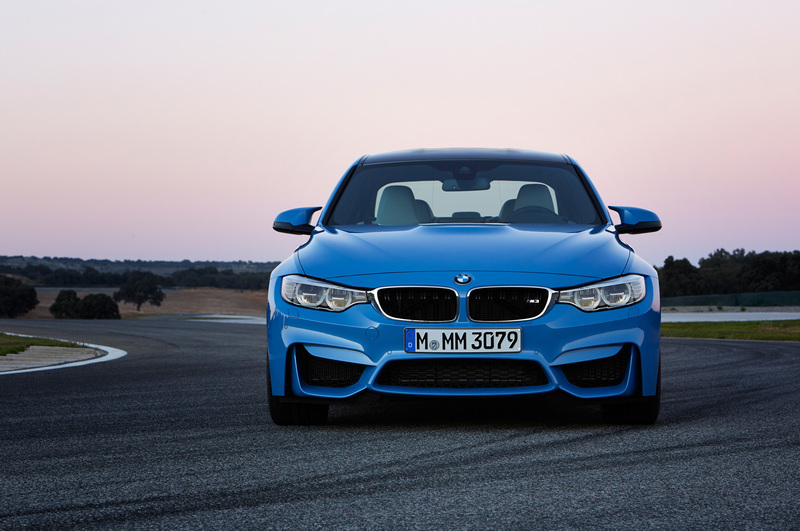 They have simply been renamed M4 and are covered in a separate review. 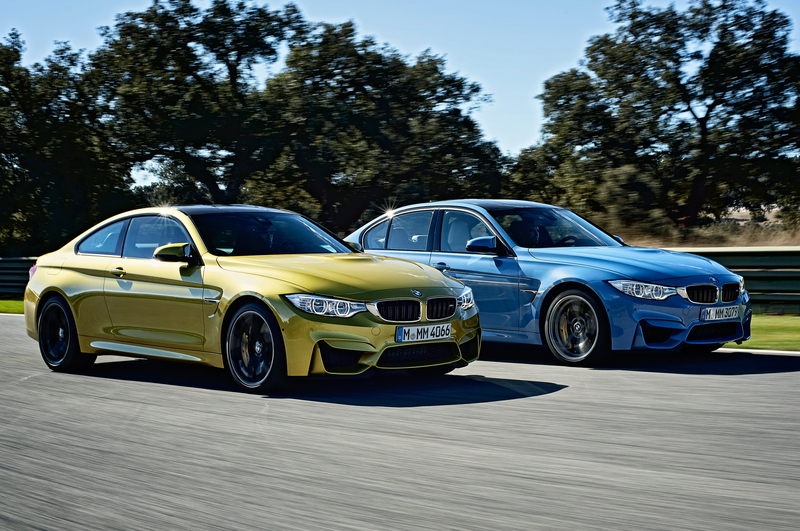 Regardless of body style, these M cars have a way of making driving enthusiasts very happy. 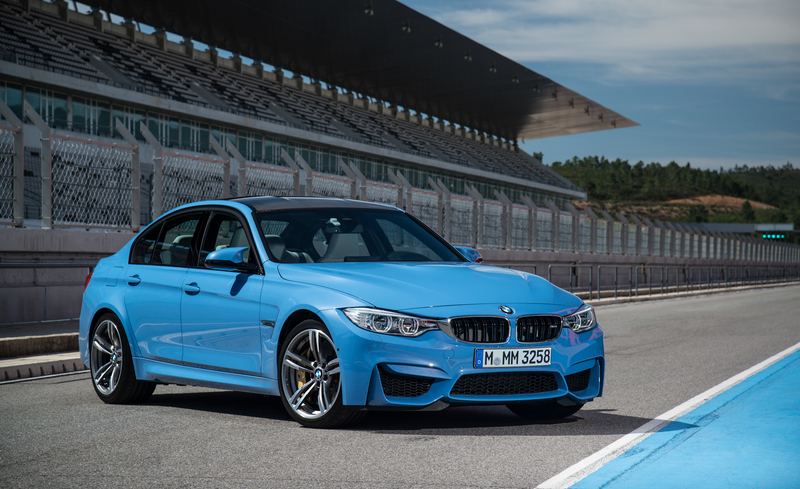 Much of that joy comes from what's under the hood, where a turbocharged inline-6 cranks out no less than 425 horsepower along with some great noises. 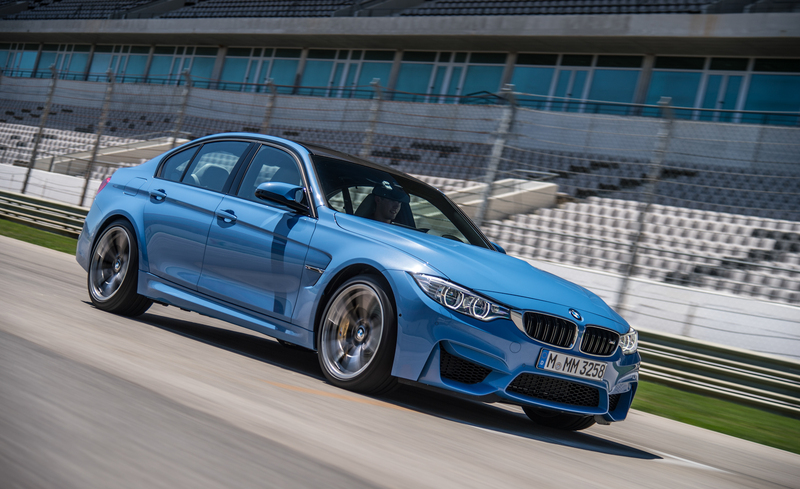 Sure, the old M3 had a V8, which may sound better on paper (and to some ears), but there's no arguing with the increased output (an additional 111 pound-feet of torque, anyone?) and fuel efficiency. 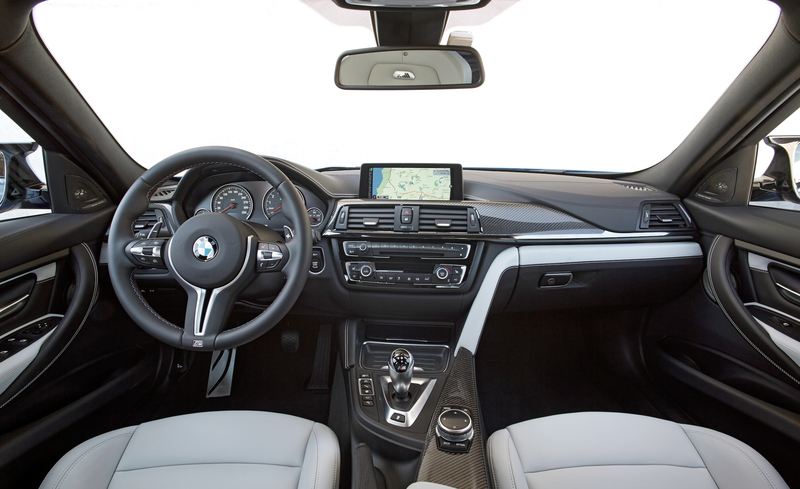 Furthermore, you have your choice of a true, three-pedal manual or an automated dual-clutch transmission. 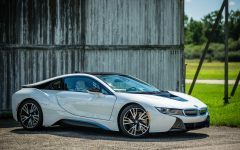 The power goes to the rear wheels via a carbon-fiber driveshaft and an electronically controlled limited-slip differential. 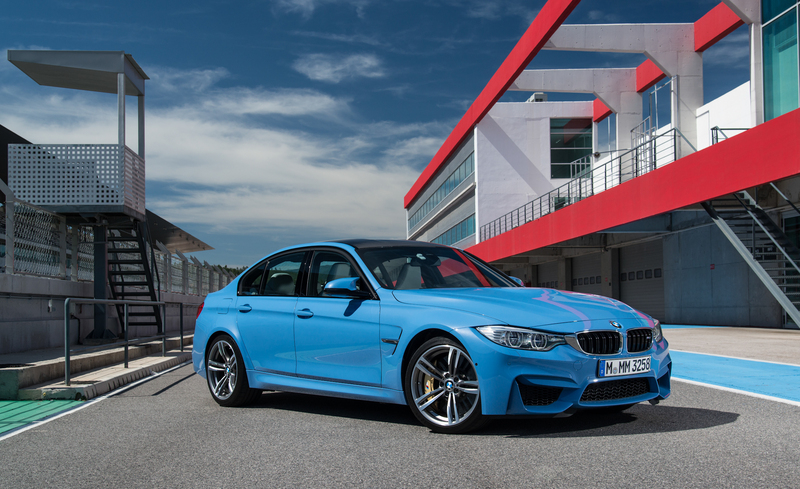 The latter equipment was once seen only on pure racecars, but now has trickled down to high-performance street cars such as the M3. 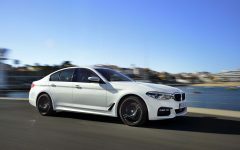 Other M-specific upgrades over the regular 3 Series include unique front and rear fascias, aluminum suspension components, M-spec 18-inch forged alloy wheels, staggered wheel widths and optional six-piston carbon-ceramic brakes. 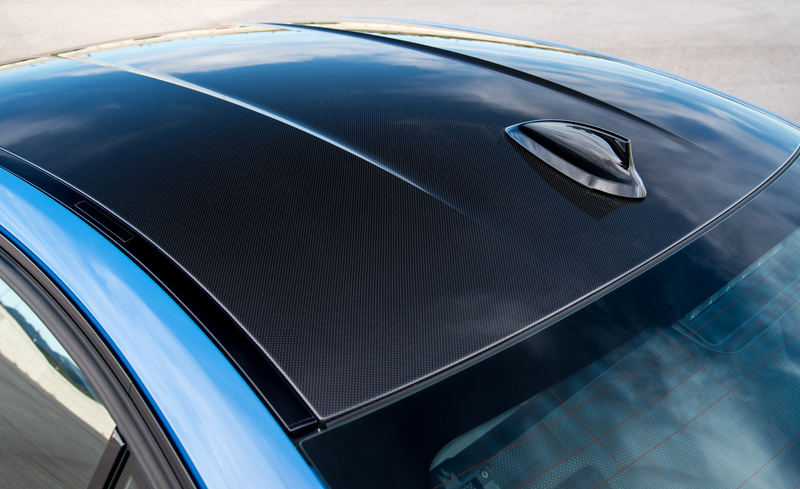 The wider track also results in special body panels all around, including a hood and front fenders made of aluminum and a carbon-fiber roof. 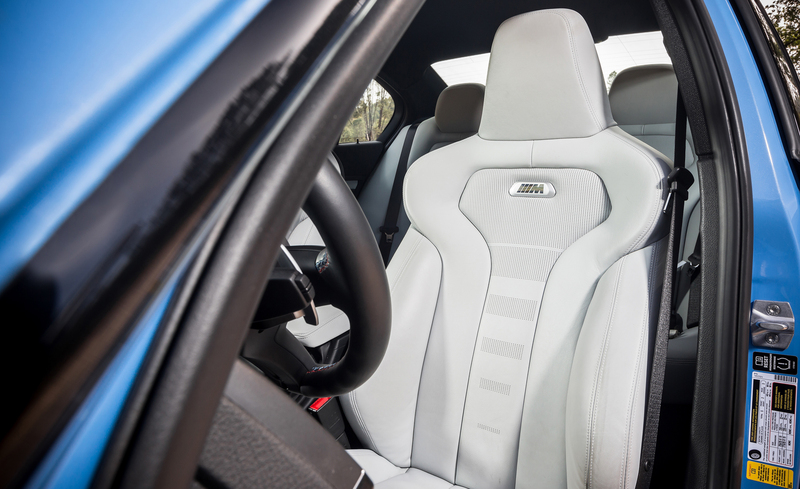 Inside the M3, the differences are not as dramatic, as it's similar to the more common 3 Series but with a decidedly more sporting look and feel. 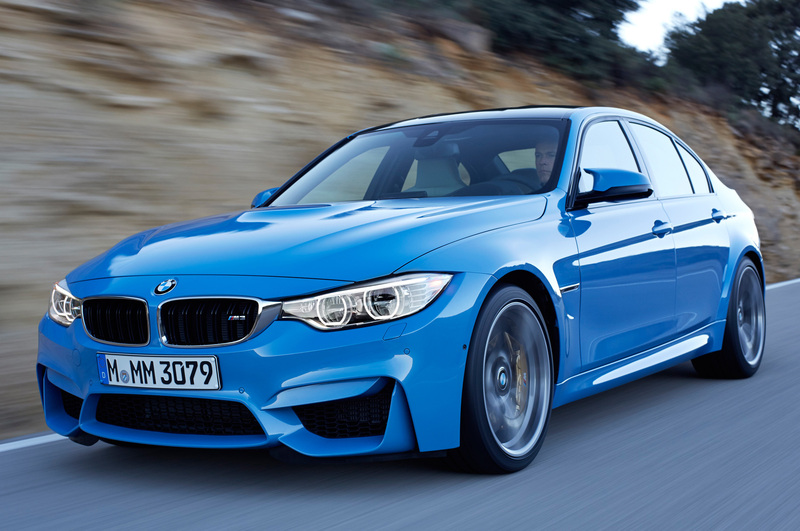 The 2015 BMW M3 is a four-door, five-passenger high-performance car that's based on the company's 3 Series sedan. 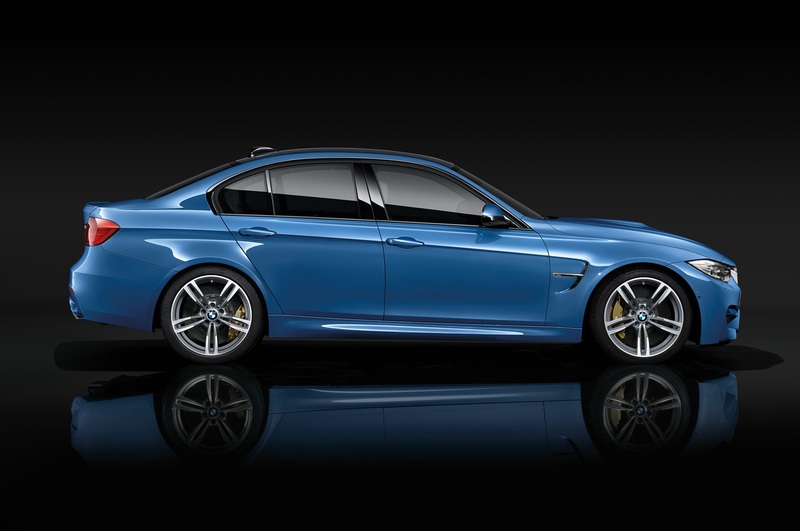 The M3 includes 18-inch alloy wheels with summer tires, adaptive xenon headlights, auto-dimming mirrors, automatic wipers, leather upholstery, heated 10-way power front seats (with four-way power lumbar), driver memory settings, fold-down rear seats, cruise control and dual-zone automatic climate control. 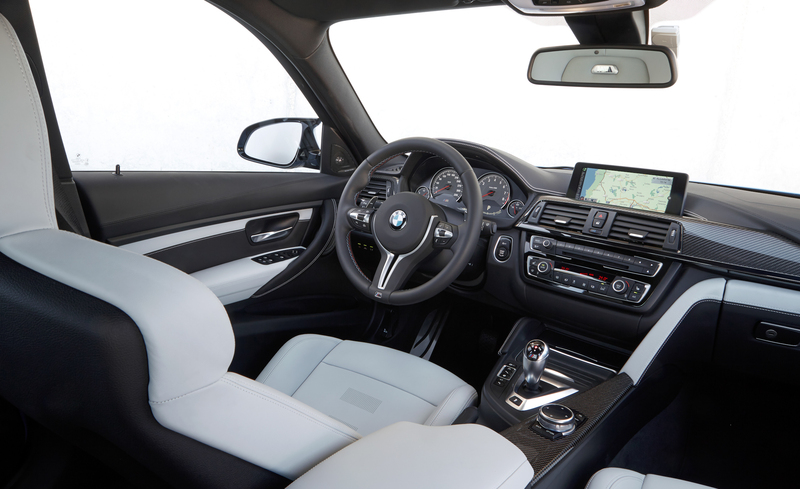 Technology features include Bluetooth phone and audio connectivity, a navigation system, an 8.8-inch display screen, a suite of applications under the BMW ConnectedDrive banner, BMW's iDrive controller interface and a nine-speaker audio system with HD radio, a USB/iPod interface, an auxiliary audio jack and a CD player. 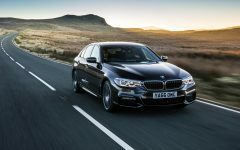 An optional Executive package adds headlamp washers, parking sensors, keyless entry and ignition, a head-up display, heated rear seats, a heated steering wheel, a rearview camera and satellite radio. 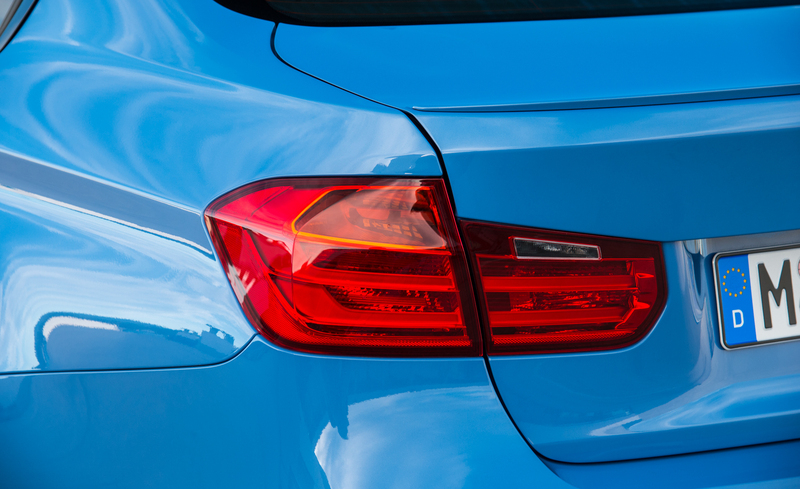 The Lighting package further adds adaptive LED headlights and automatic high-beam control. 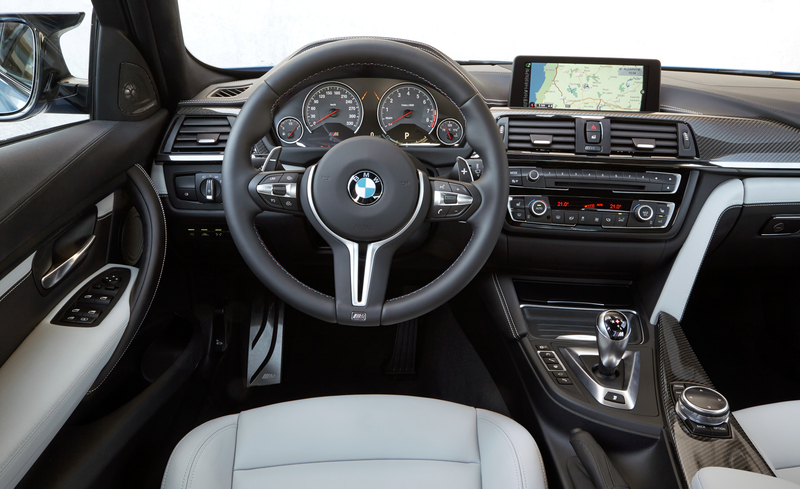 The Driver Assistance package gets you blind-spot monitoring, lane-departure warning, a side- and top-view camera system, speed limit info, frontal-collision warning and automatic braking for collision mitigation. Some items within the bundled packages are available as stand-alone options. 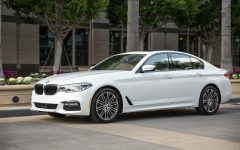 Other stand-alone options include 19-inch wheels, upgraded carbon-ceramic brakes, adaptive suspension dampers, automated parallel-parking assist, a power rear sunshade and a 16-speaker Harman Kardon surround-sound audio system. 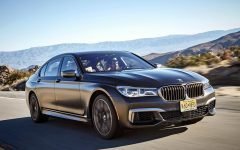 There are also optional enhancements that add more Bluetooth/USB features, including mobile-office functions (message dictation, calendar), live-operator concierge services and entertainment apps (Internet music and social media). 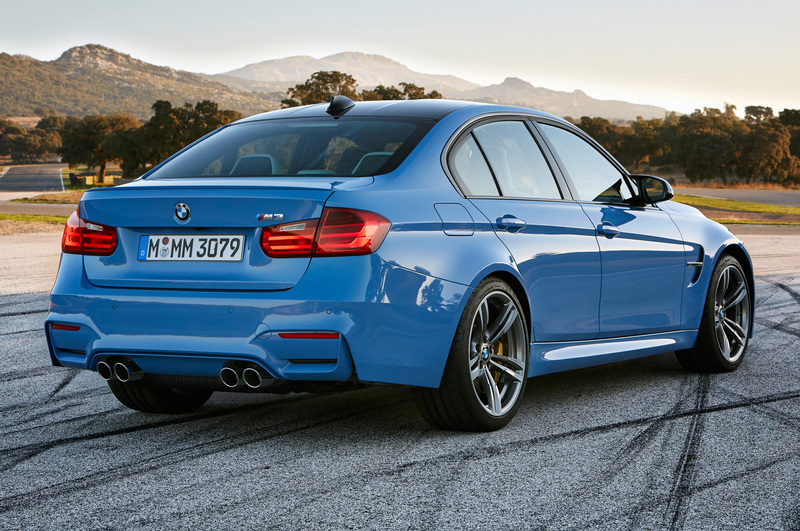 The M3 packs a turbocharged 3.0-liter inline six-cylinder engine that cranks out 425 hp and 406 lb-ft of torque. 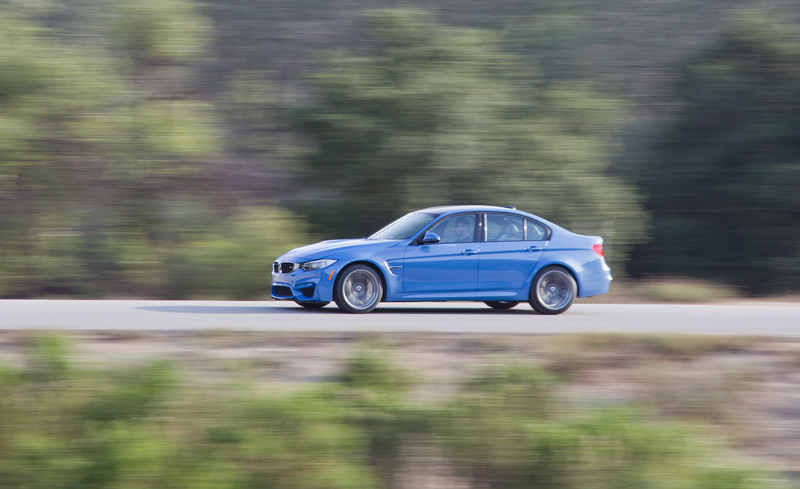 The new engine still revs high, up to 7,600 rpm. 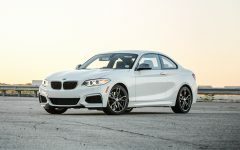 Two transmissions are available: a standard six-speed manual with automated rev-matching, or an optional seven-speed automated manual transmission (M-DCT) with steering-wheel-mounted paddle shifters. 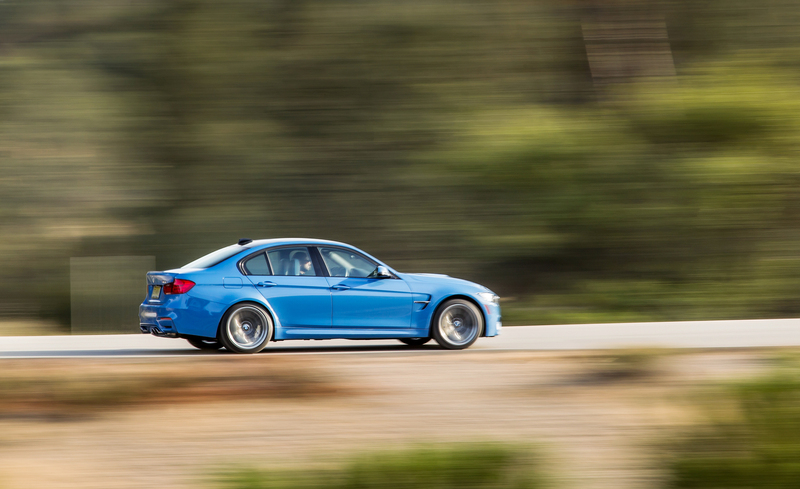 With the M-DCT transmission and utilizing the integrated launch-control feature, the M3 will deliver a 0-60-mph time of 3.9 seconds, whereas the six-speed will do the same sprint in 4.1 seconds, according to BMW. Automatic engine stop-start (which shuts off the engine to save fuel while the car is stopped, such as when you're at a red light) is standard. 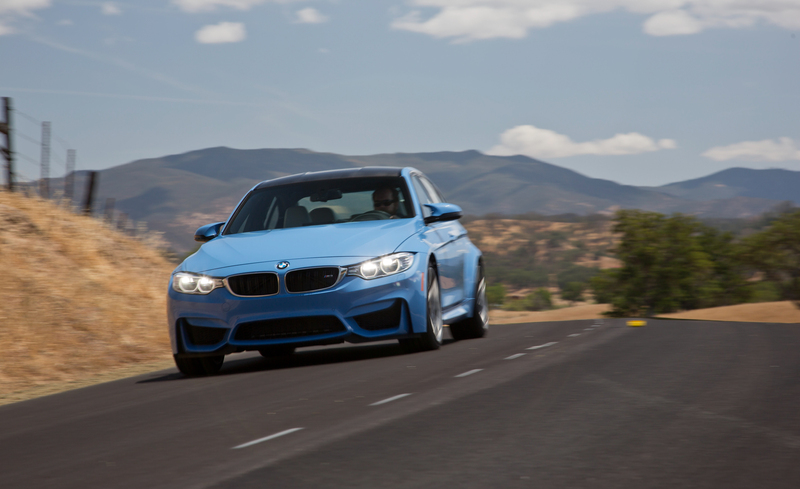 The EPA estimates that an M3 with the manual transmission will deliver 20 mpg combined (17 city/26 highway). 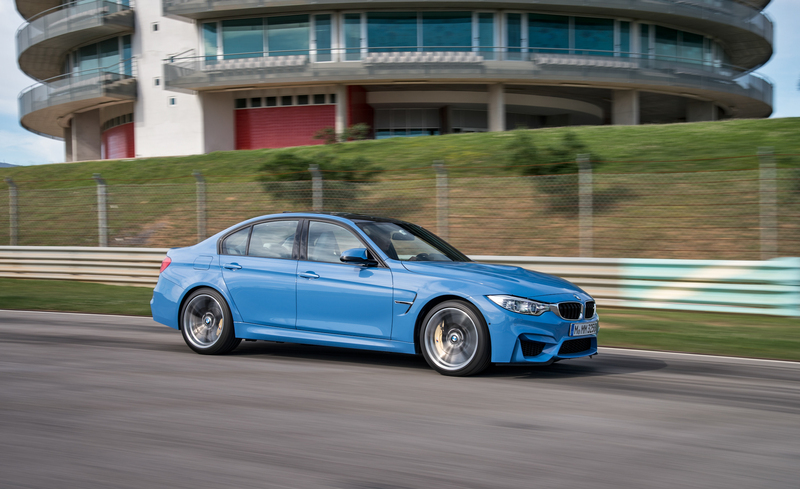 Opting for the automatic lowers efficiency by about 1 mpg across the board.Every 2015 BMW M3 comes standard with antilock brakes, traction and stability control, front side airbags, side curtain airbags and front knee protection airbags. 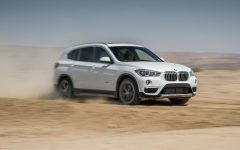 The stability control system integrates several features designed to improve braking performance, such as periodically wiping the brake rotors dry when the windshield wipers are in use and automatically snugging the pads to the rotors when the driver abruptly lifts off the gas. 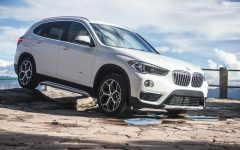 BMW Assist emergency communications is standard and includes automatic crash notification, stolen-vehicle recovery and on-demand roadside assistance. 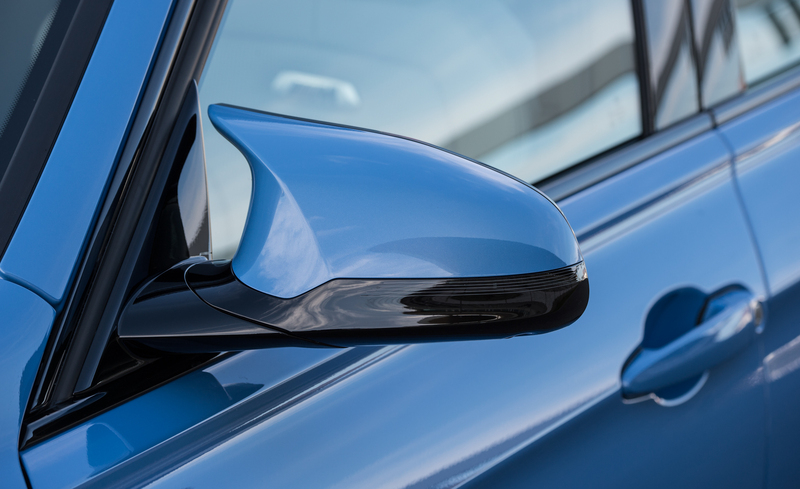 Optional safety features include rearview and top-down cameras, front and rear parking sensors, blind-spot monitoring, lane-departure warning, frontal collision warning (including pedestrian protection) and automatic braking for frontal collision mitigation. 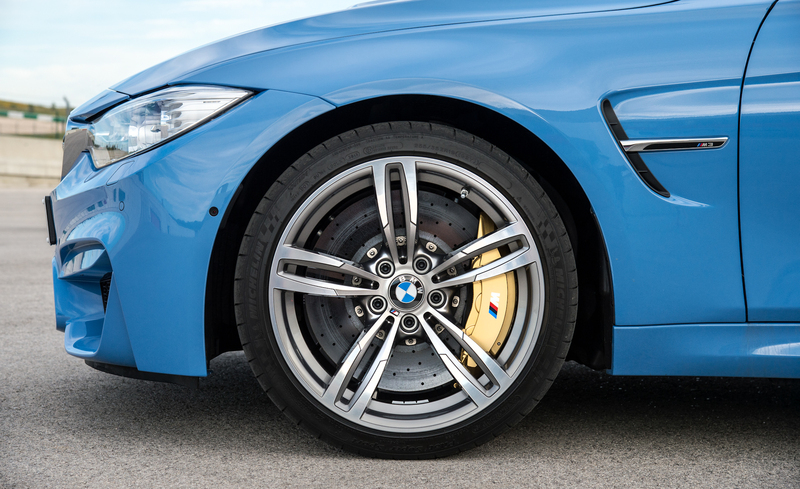 High-performance carbon-ceramic brake discs are also optional. 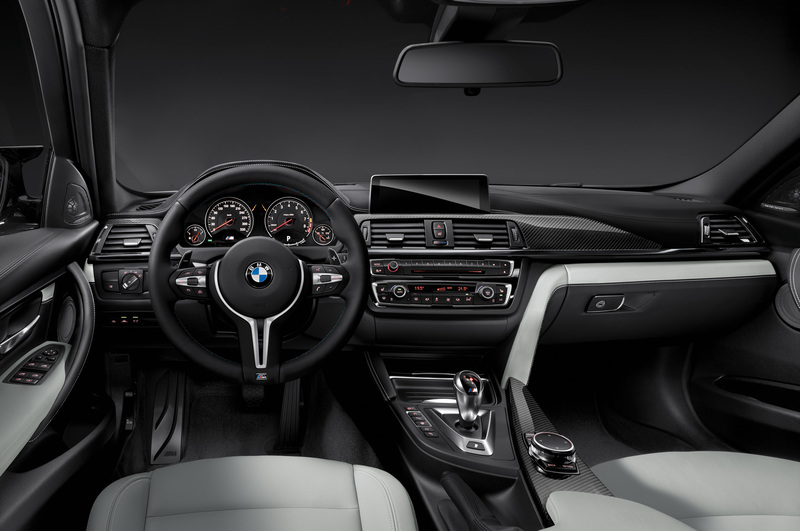 The 2015 BMW M3 gets the same general cabin design of the 3 Series, which is to say understated, though you do essentially get the 3's Technology package (navigation system, the larger display screen and the touchpad iDrive controller) as standard, plus the requisite M badges and some snazzy carbon-fiber and aluminum trim. Overall it's solidly built and of high quality. 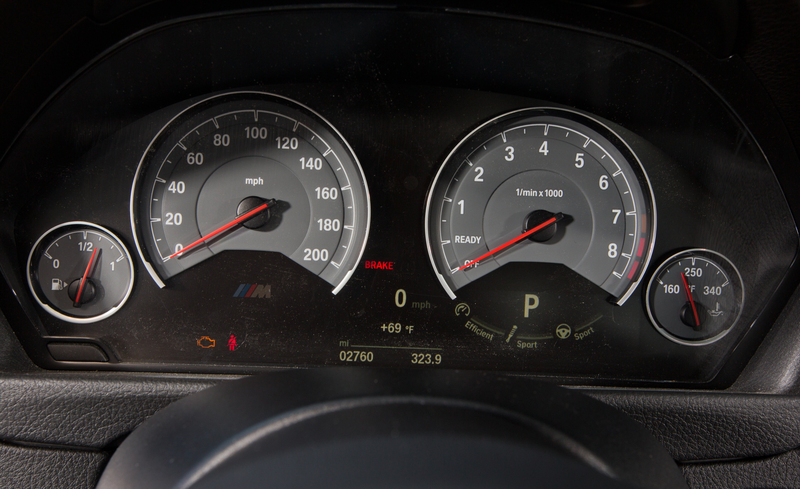 The company's classic analog gauges provide a historical link with BMWs of previous decades, while the optional head-up display provides digital information projected on the windshield. 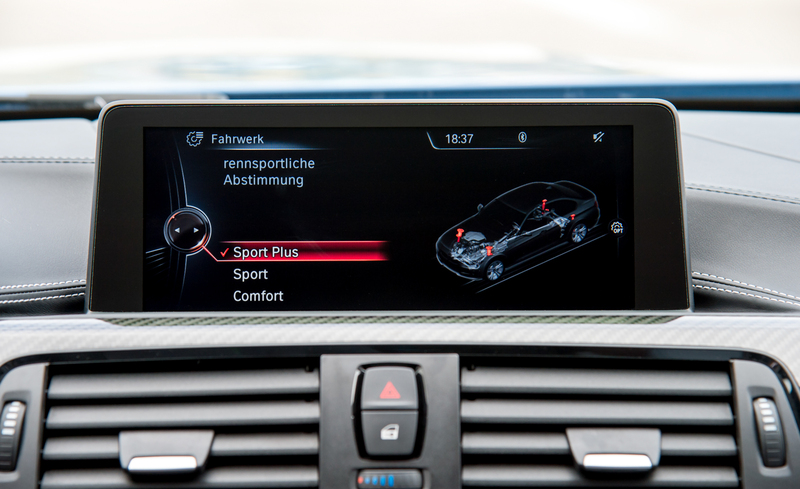 The standard iDrive interface is pretty easy to use, thanks to straightforward menus, crisp graphics and quick processing times. But compared with some rival systems, it typically requires a few more twirls and clicks to get what you want. 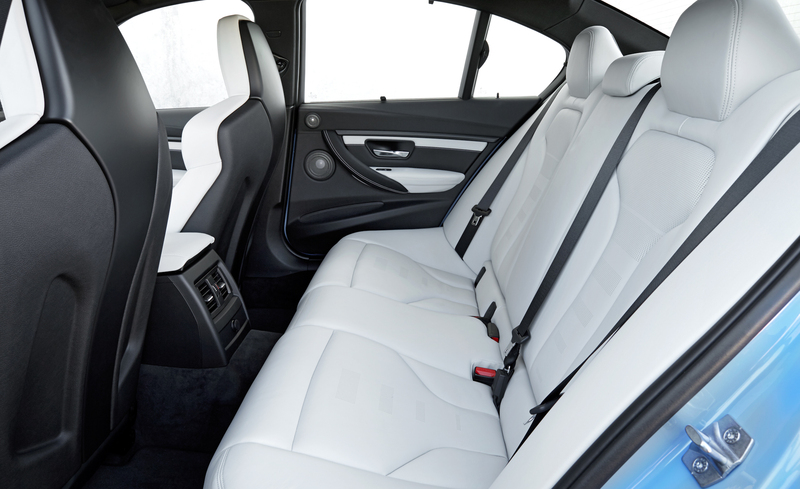 The front seats are both comfortable and supportive for aggressive driving, and there's plenty of front headroom and legroom. 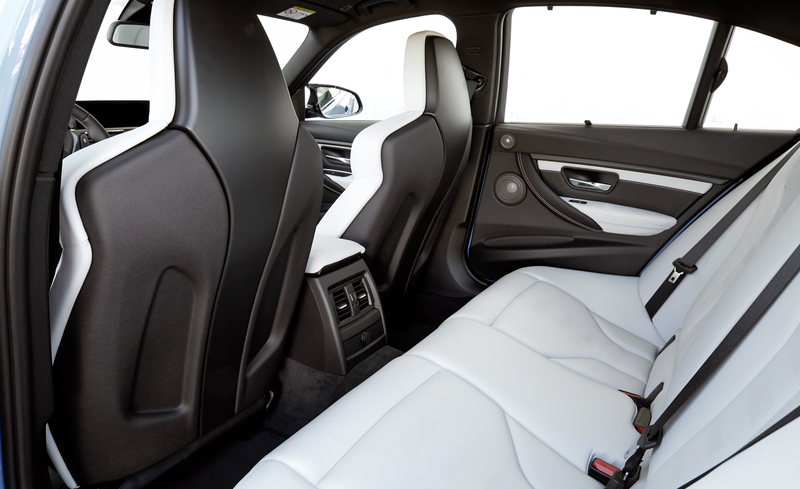 The backseat is decently sized for this class of car, with enough headroom and legroom for two average-size adults. 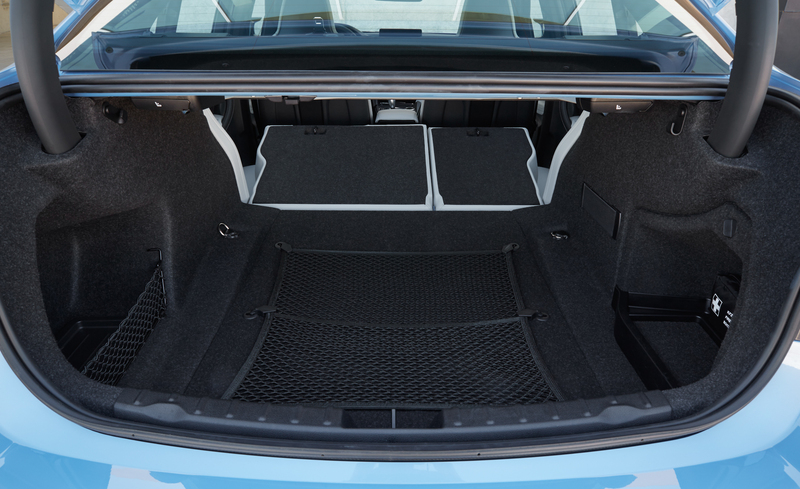 Luggage space is about average at 12.0 cubic feet. 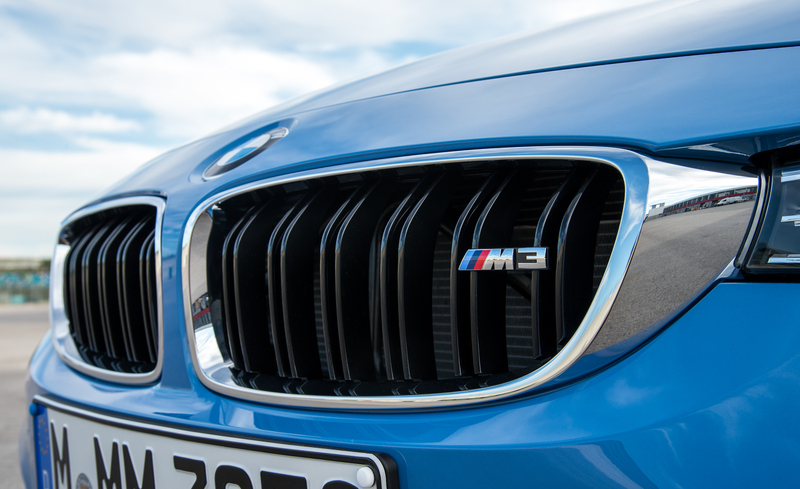 Any driving impression of an M-badged BMW must start with the engine, and what an engine this is. 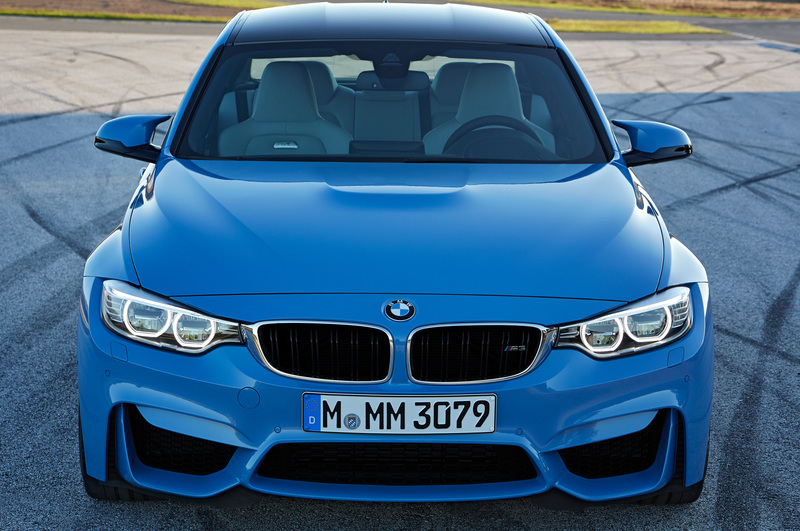 It might not tingle the spine like the sonorous V8 did, but the new twin-turbo inline-6 is a gem in its own right. 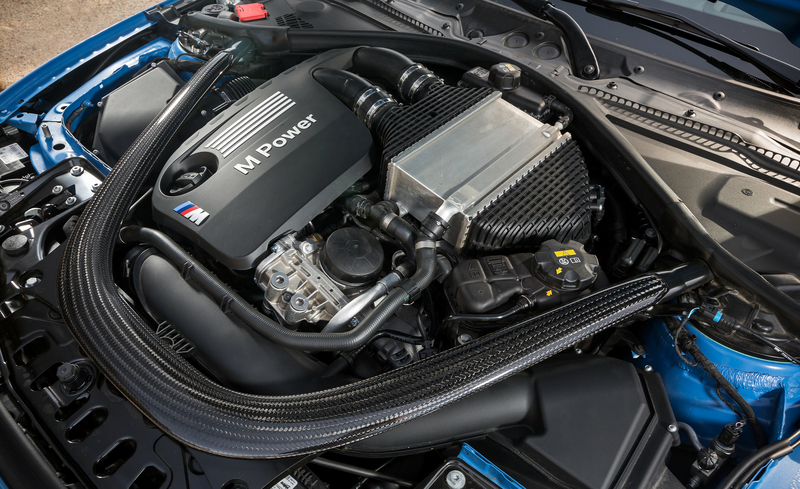 It not only produces more peak power than the outgoing engine, but also makes more everywhere in the engine's rev range. 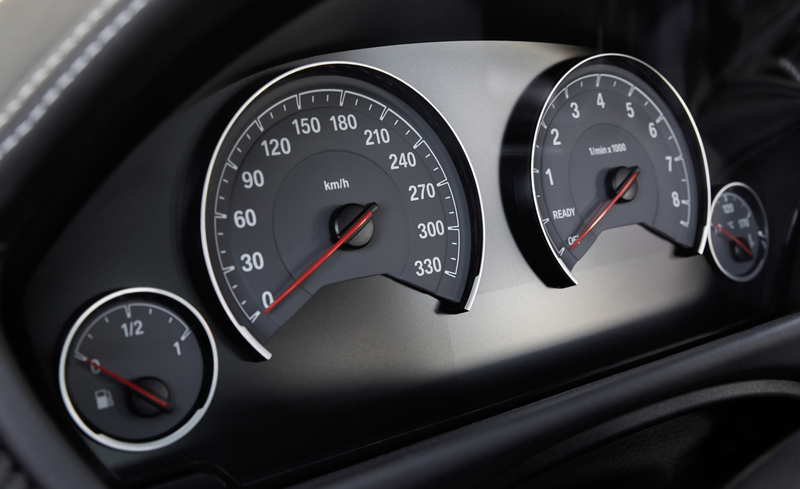 Throttle response is immediate and has a profound effect on how light and quick the car feels at any given moment. 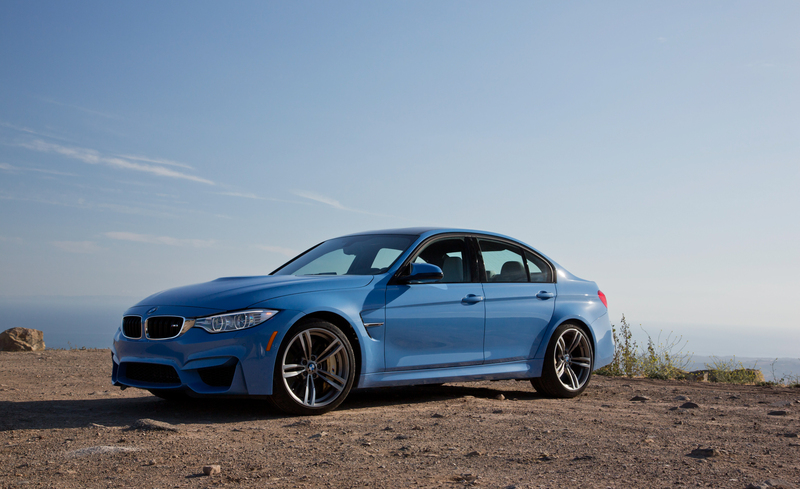 The M3 can be docile around town, but it'll still do the proverbial "smoky burnout" and chirp the tires between upshifts when you ask it to. 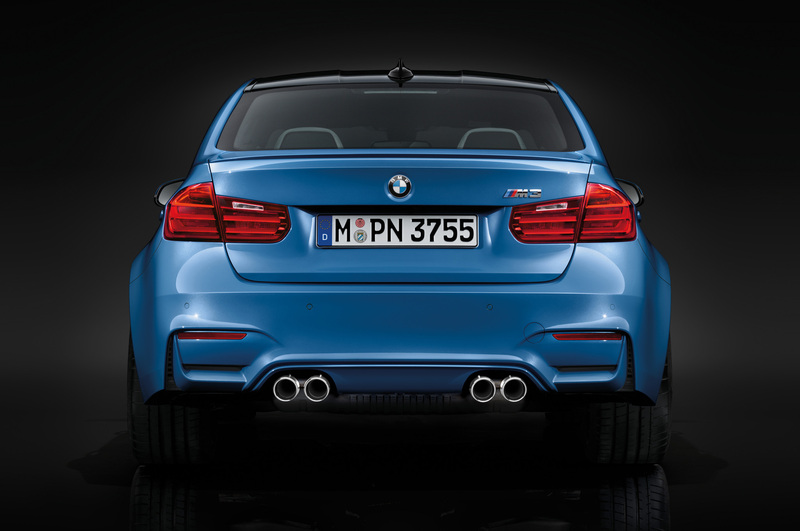 It is true that the current trend of piping in an "amplified" version of engine/exhaust sounds through the car's stereo system is in full effect in the M3, but it doesn't sound computer-generated or disingenuous at all. 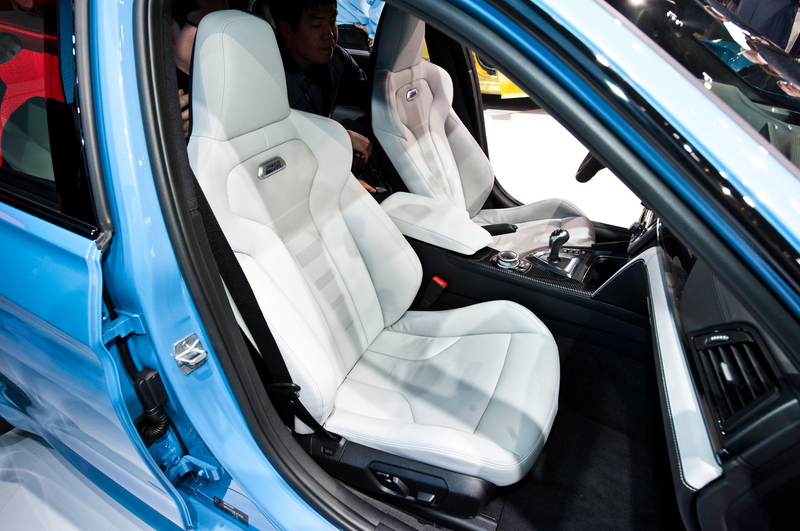 Another potential controversy involves the car's steering. 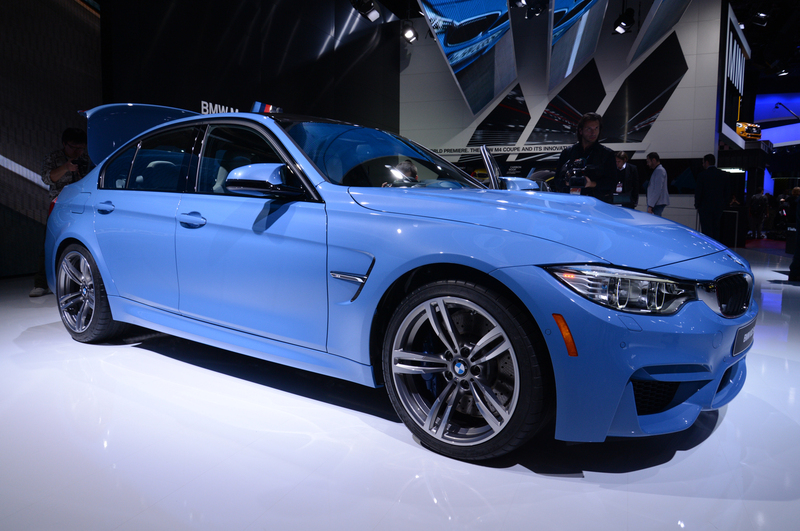 Just like most new cars these days, the M3 uses electric-assist rather than traditional hydraulic-assist. 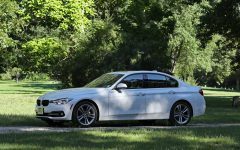 The perceived problem is that electric-assist typically doesn't do as good a job of providing the driver feedback about what's going on at the front wheels. 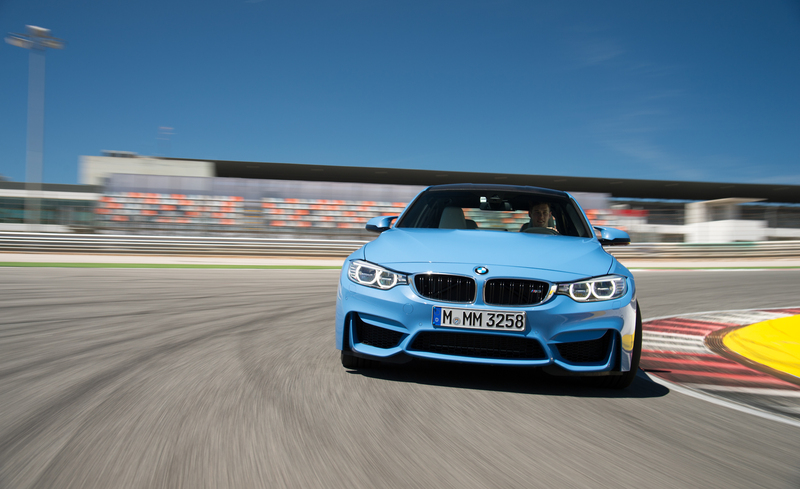 And sure enough, if you were to compare the new M3's steering feel to that of an M3 of a couple generations ago (a car known for great steering feel), you'd come away disappointed. 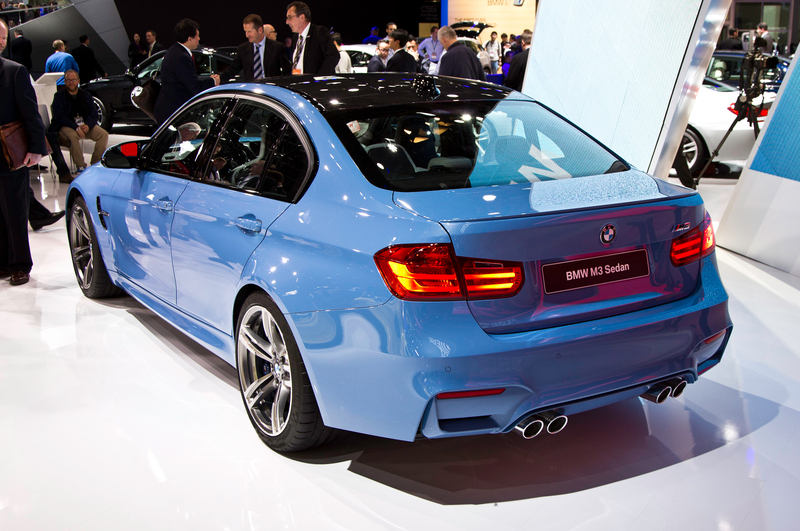 But the reality is that for the modern era, the system in the M3 is about as good as such systems get. 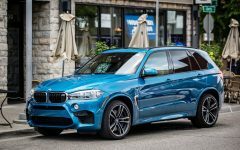 It's highly responsive, exceptionally precise and isn't complicated by the company's controversial variable-ratio steering (that's available on other BMW products, but not here). 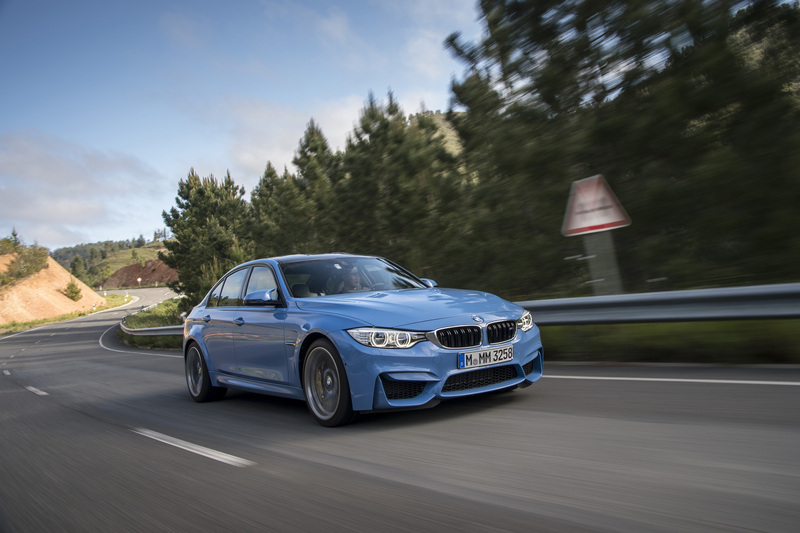 Much of the M3's deserved praise is due to the highly effective active differential that distributes power to the appropriate side depending on myriad variables. 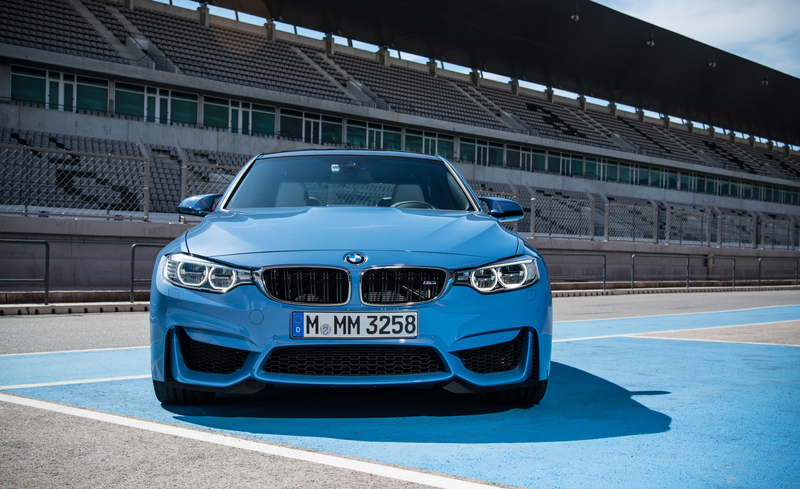 As such, the car's handling is more confident and capable than we've seen from any car bearing an M badge in years. If you're tempted to buy the adjustable suspension for fear the standard suspension might ride too hard, don't be worried. 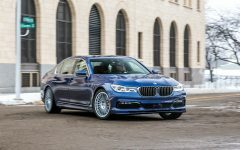 We found the standard suspension completely acceptable for daily use as well as amply fortified for exceptional handling performance. 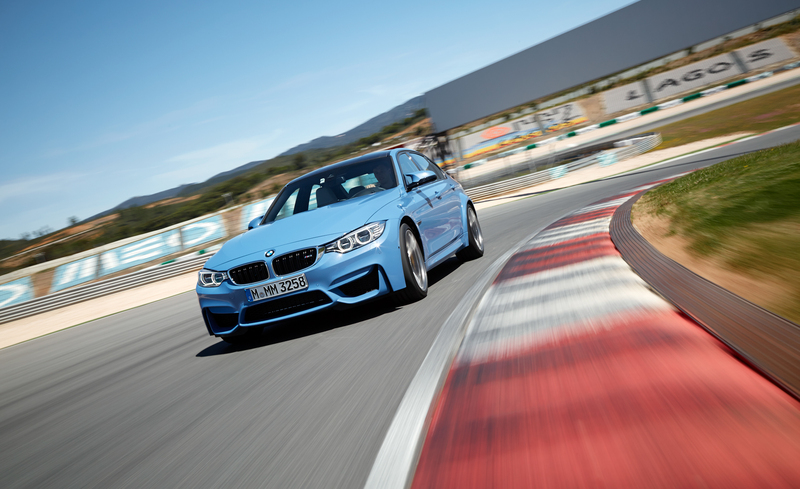 Also, the optional carbon-ceramic brakes don't often squeal, and offer an unusual amount of pedal feel and feedback that are not typical of most cars with this option. 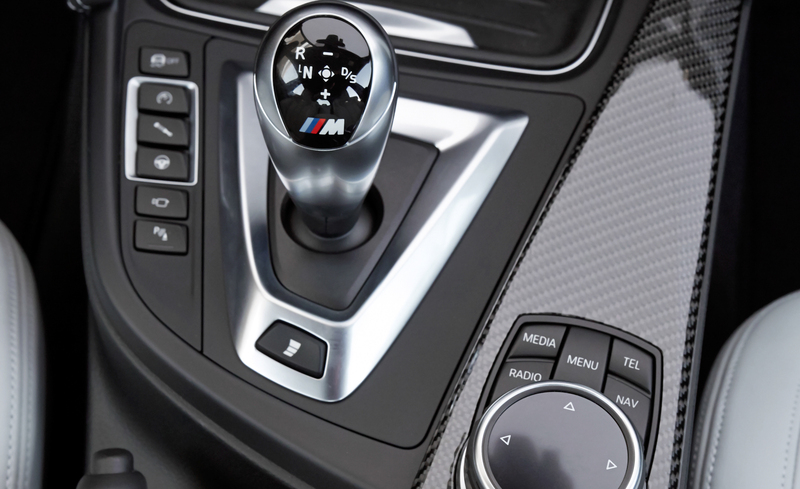 To shift or not to shift -- your own gears, that is. 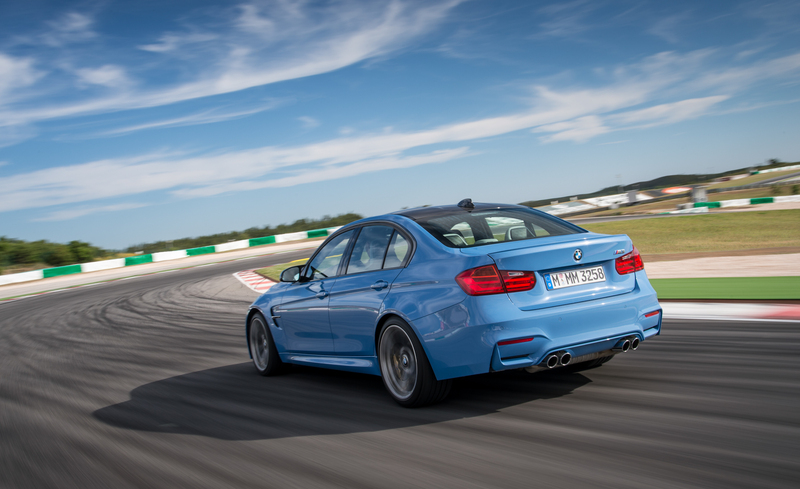 The M-DCT easily beats out the manual transmission in terms of quickness, smoothness and allowing the driver to concentrate on the task of driving. 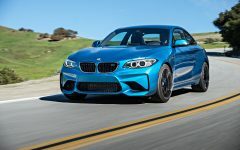 For pure driver involvement, though, the robust and slick-shifting six-speed manual is still the way to go, and it now includes (in some drive modes) automatic rev-matching for downshifts. 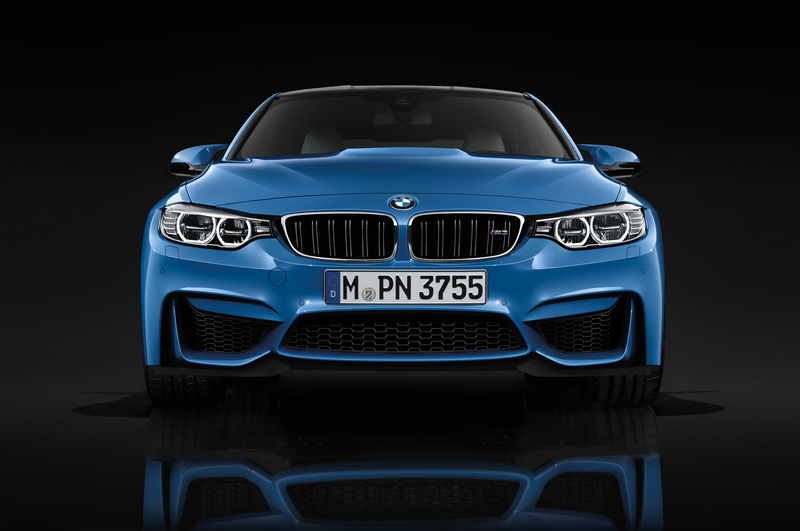 Related Post "2015 BMW M3"